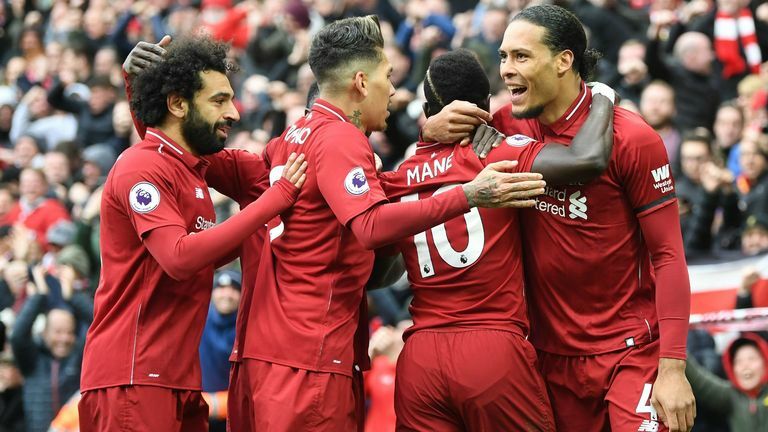 Liverpool moved back to the Premier League summit with an electrifying 2-0 win over Chelsea, leaving fans with plenty to discuss. 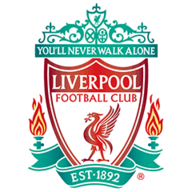 The Reds stormed back to the top of the Premier League table on Sunday evening following a stunning 2-0 victory over Chelsea at Anfield. 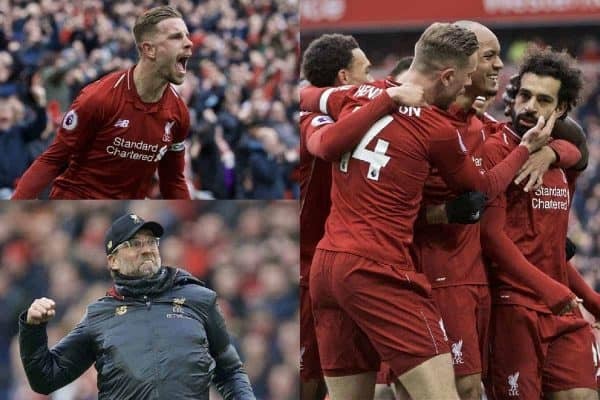 Jurgen Klopp‘s men were the dominant side through the clash, but it was a quickfire double soon after the interval which ensured all three points remained on Merseyside. 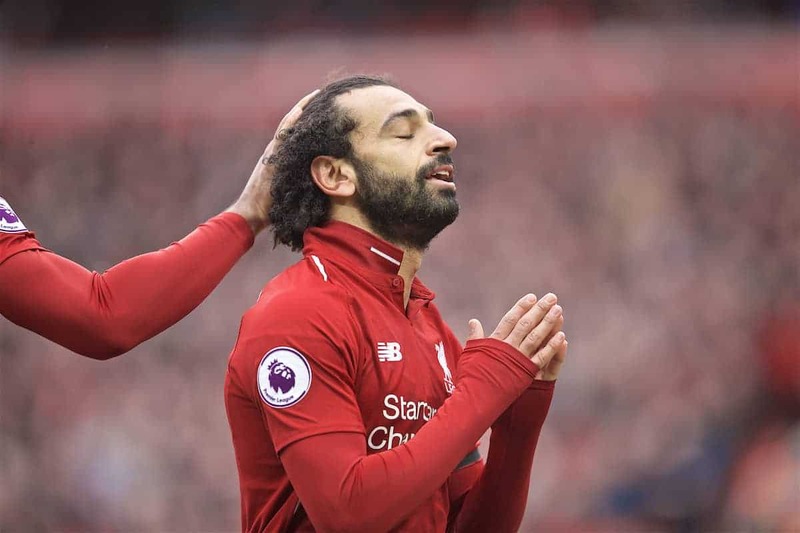 Sadio Mane was the one to break the deadlock, before a thunderous Mohamed Salah strike doubled Liverpool’s lead and sent Anfield into a state of euphoria, as another test of the Reds’ title credentials was safely navigated. 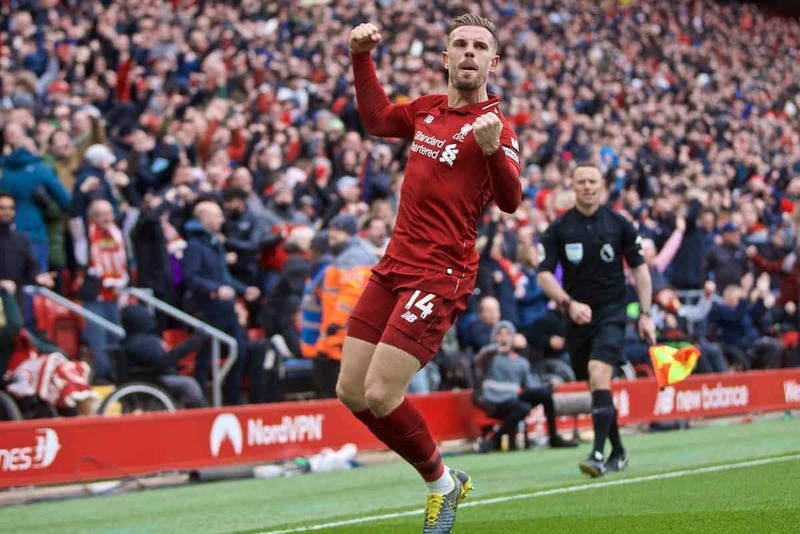 This Is Anfield’s Joanna Durkan (@JoannaDurkan_) spoke to Joel Rabinowitz (@joel_archie) and Jonathan Higgins (@Jhiggins3) to break down the highs and lows from the win and discuss the effect of Jordan Henderson‘s positional switch. JONATHAN: After a goalless first half, the response after the break was very pleasing. There was an energy to the Reds’ display with the aggressive pressing back in full flow. In fact, the opening goal came as a result of that from Jordan Henderson. Fabinho was an absolute beast, a rock in the deep-lying midfield role. His backtracking, crunching tackle on Eden Hazard on 10 minutes brought a collective roar from all sides of Anfield and really set the tone of the game. It wasn’t just his tackling and pressing that caught the eye, he had almost an arrogance with the ball at this feet. Time and time again he was able to manipulate himself out of tight situations and orchestrate waves of pressure with his quick-tempo passing. 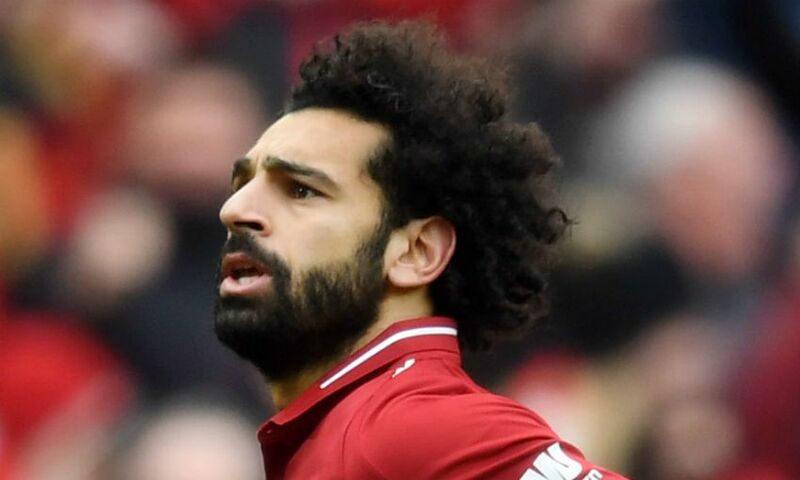 Mo Salah was brilliant all day, at both ends of the pitch—but what an absolutely jaw-dropping goal. I’ve no problem admitting I screamed like a teenage girl as I watched it rocket into the top corner. In a week where unfortunately he had to endure personal attacks from the dark, backward segments of society, he answered in emphatic style. 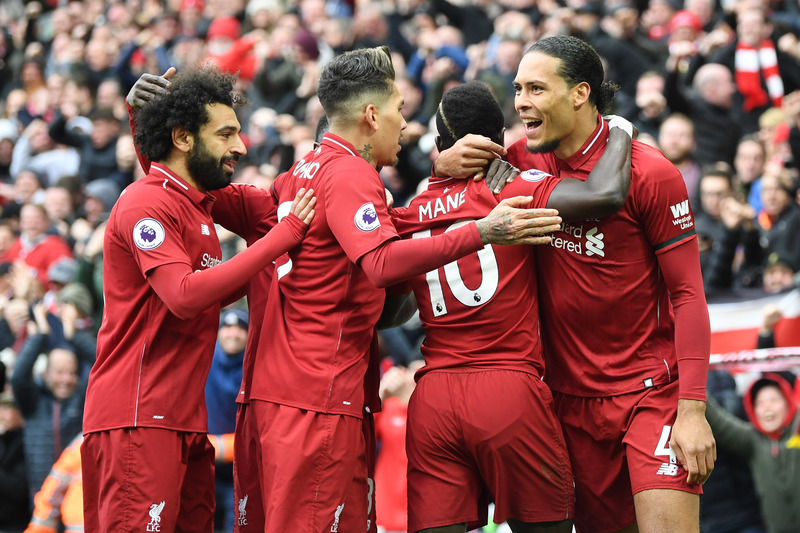 More importantly, it rubber-stamped another crucial victory as the Reds juggernaut passed their toughest remaining league opponents with flying colours. JOEL: Well, what a performance from everyone. They all played out of their skin, and that second-half display in particular was just incredible given the pressure Liverpool were under to get the three points. 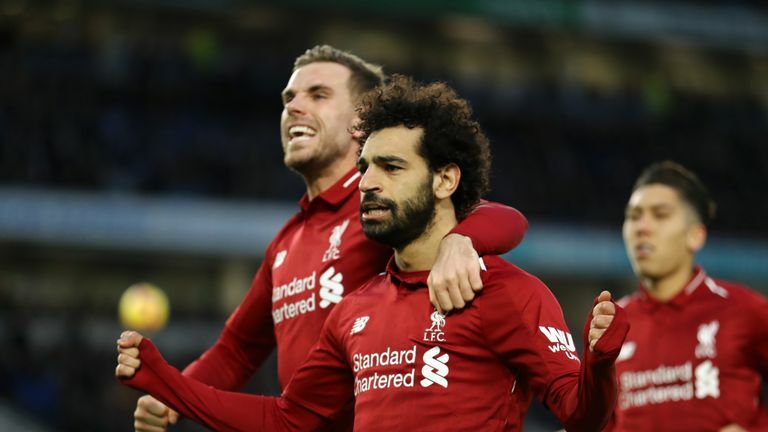 It was yet another phenomenal show of resilience and maturity and to get nine points from Spurs, Southampton and Chelsea puts Liverpool in a great position now. 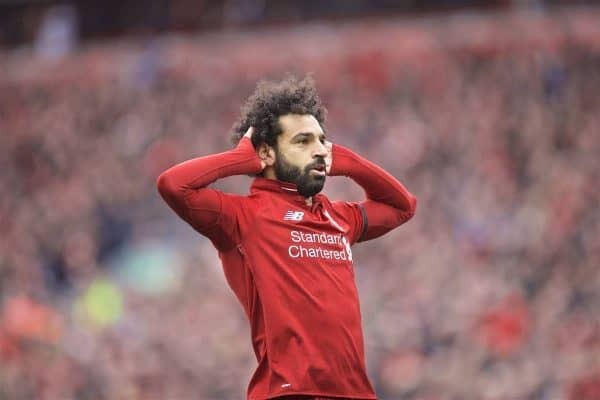 Obviously, Salah’s goal was just sensational—I think that’s the best he’s scored for Liverpool. Roberto Firmino was exceptional in the second half and once again Henderson was an inspiration in that No. 8 role, creating the opening goal with a superb cross for Mane. Every one of them put it all on the line and ensured Chelsea couldn’t get the satisfaction of derailing our title hopes this time. It was one of the most feel-good victories of what has been an amazing season. JOANNA: Just when you think this team cannot fill you with any more pride or surpass the levels of the previous week, they go out and do just that. So much talk has surrounded the maturity and strength of character within this side and rightly so after the manner in which they have won over the last five league games. 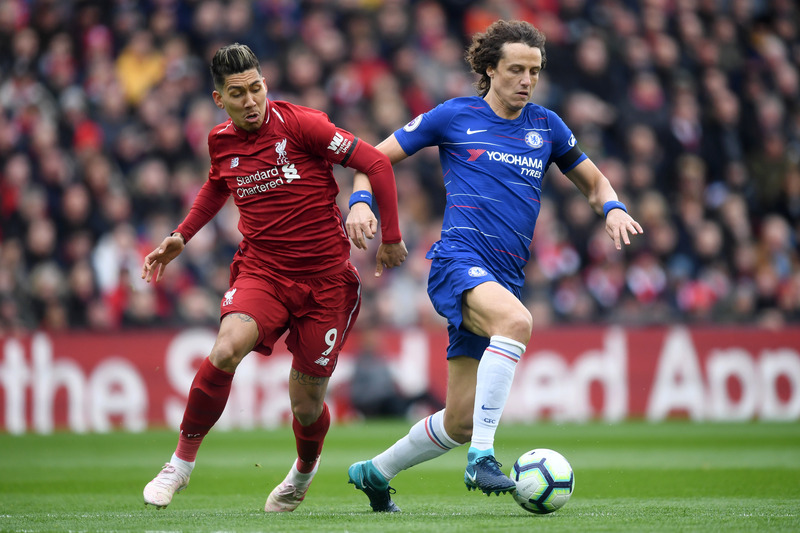 Chelsea were out to frustrate and it would have been easy to play into their hands, but the Reds deserve a serious amount of credit for their second-half performance. 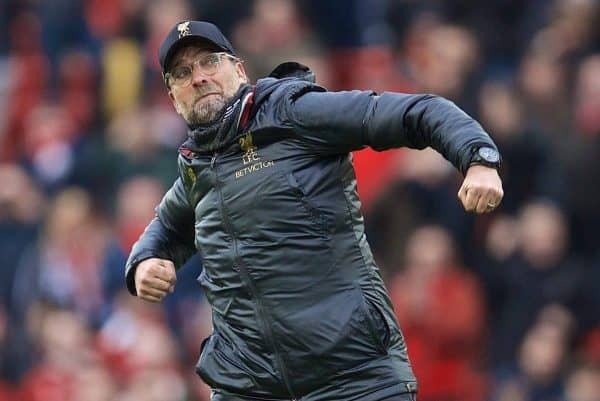 From front to back Liverpool were exceptional and they steamrolled the Blues into submission with some of the best football I’ve seen them play since the turn of the year. 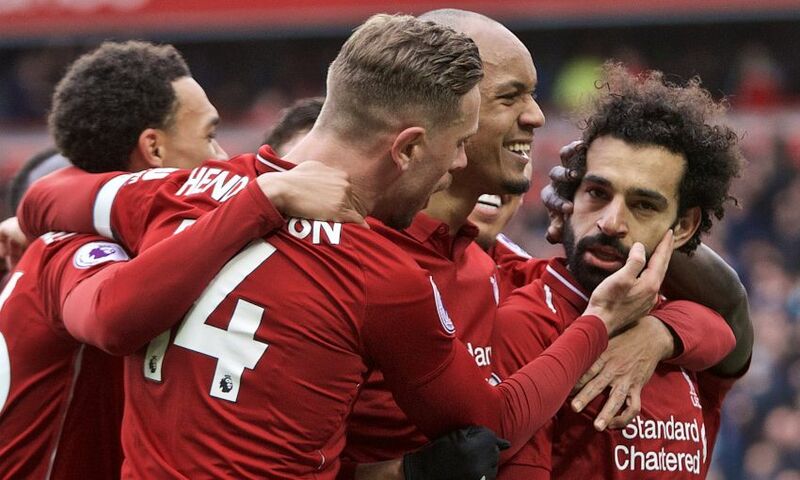 I have to say Fabinho, Salah, and Trent Alexander-Arnold were my personal standouts on the day, but on the whole it’s a result which sets the Reds on course for one hell of a finish to an already historic season. 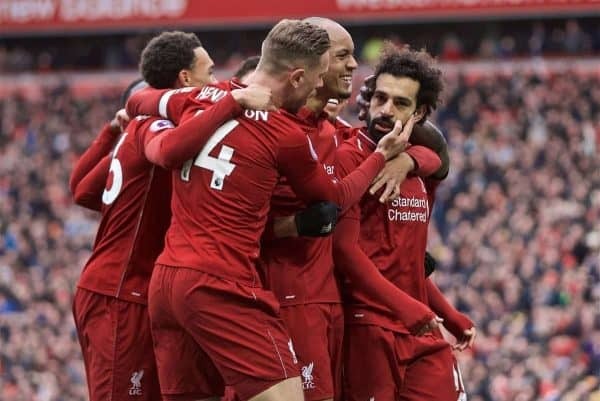 Oh, and it would be rude not to echo the guys’ sentiments on Salah’s goal, what a thing of beauty it was! JONATHAN: The Chelsea purple patch after Liverpool took a two-goal lead was a little worrying. Eden Hazard missed two huge opportunities during that crazy spell. On another day Liverpool may not have been as lucky. Liverpool played into Chelsea’s hands during this period by continuing to bomb forward and not slowing down the tempo of the game. 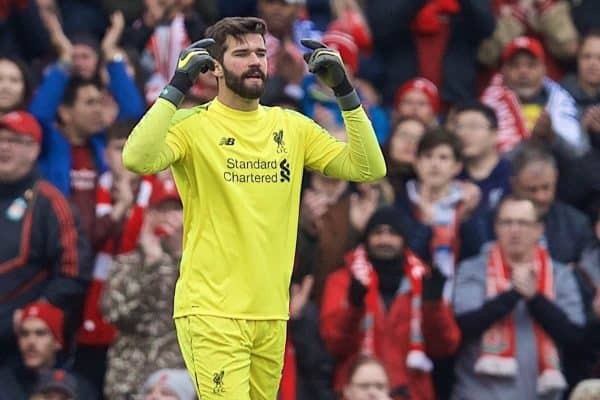 Klopp reacted by introducing Gini Wijnaldum, and no doubt he will be making sure that the players aware of the improvements required between now and the end of the season. Similarly, in the first half especially, it was far too easy for Chelsea to counter-attack. Liverpool dominated possession and were camped in the Chelsea half but were vulnerable to Chelsea‘s rapid speed on the break. JOEL: The only negative on a fantastic afternoon was Jordan Henderson going off with what looked like a nasty ankle injury at the time, although Klopp played it down after the match and said it isn’t too serious. He’s been superb in recent weeks so Liverpool will need him fit and available for the final few games. 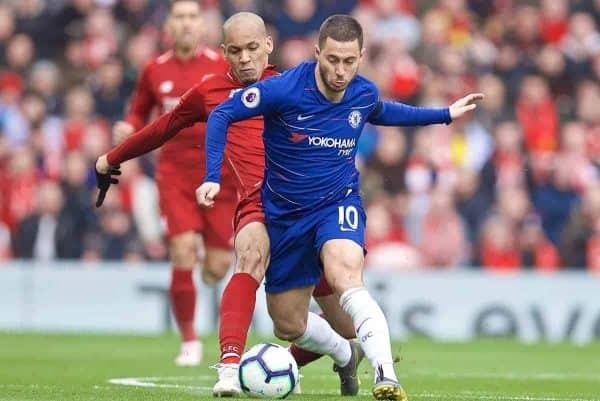 Liverpool did ride their luck a little defensively on a few occasions, but it’s about time Eden Hazard had an off-day at Anfield—and that might well be the last we see of him for a while! JOANNA: After a victory like that there are not a lot of negatives to pick out. But what I would say is that it does feel as though we are giving the opposition more space and chances on goal than we did earlier in the season. Like Jonathan mentioned, part of that comes down to the Reds’ failing to take the sting out of the game during Chelsea‘s period of pressure, with Wijnaldum’s introduction no doubt an indicator of Klopp’s desire to regain control. Similar to that against Porto, we were vulnerable on the counter in the first-half and, like Joel said, in the second term we were fortunate that Hazard had an off day in front of goal as he slipped through our defence a little too easy for my liking. …and will Henderson’s positional switch prove to be the game-changer in Liverpool’s title bid? JONATHAN: It’s certainly looking like that. After a poor showing in the Tottenham game and people’s desperation for Fabinho’s involvement, it looked like uncertain times for the skipper. There’s no doubt his introduction in the Southampton game turned the match back in Liverpool’s favour. I’d even go as far to suggest his goal and celebration got a lot of supporters back in his side and reminded everyone of his qualities. He followed this up with an impressive midweek performance midweek and a man of the match display today. Liverpool’s midfield has been rightly criticised this season, but his involvement in the opening goal today highlights again the improvement at such a crucial stage of the game. Maybe it’s the missing spark we needed. Time will tell, but no one can doubt the boost it has given the team. JOEL: I think it could quite possibly be a defining factor in Liverpool’s run-in. That cameo off the bench against Southampton was outstanding and he really helped drag his team over the line when it looked like they might drop crucial points. I’ve always said he can contribute plenty in the final third and he showed that with both his through ball against Porto for Firmino’s goal and his excellent cross for Mane’s goal here against Chelsea. Out of possession, he must be a nightmare for opponents as his work rate and ability to cover ground is phenomenal. He’s every inch what you want from your captain when he’s in this kind of form, and you can see exactly why he asked Klopp about tweaking his role in the team. 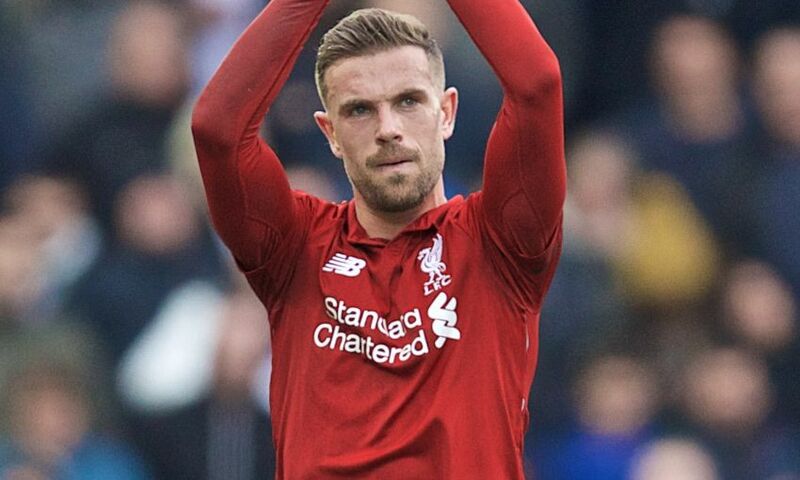 JOANNA: After struggling to settle on a midfield contingent for a large part of the season, for me, Henderson’s move has already proven to be an inspired one. 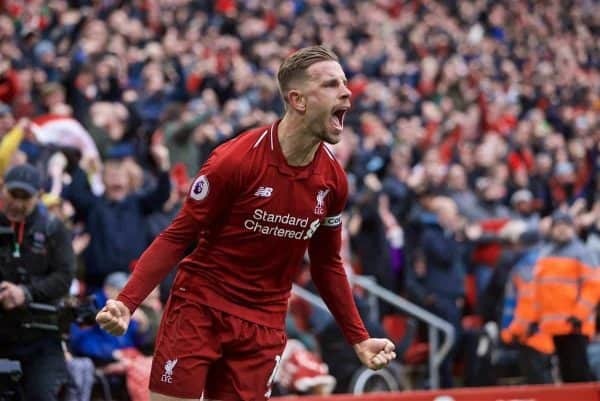 Having the shackles unleashed allows the skipper to move further upfield where his energy and presence creates goalscoring opportunities, or forces the opposition into mistakes, with the former having been a key issue in the middle of the park for Liverpool all season long. It doesn’t come as much of a shock that he’s had the high level of impact that both Joel and Jonathan mentioned as it’s a position he thrives in, and you only have to think back to the 2013/14 season for proof. It says a lot about him that he took on the No. 6 role for the team, but now with Fabinho taking that position he has the opportunity to influence the game in both defence and attack, and against the Blues he was simply phenomenal. 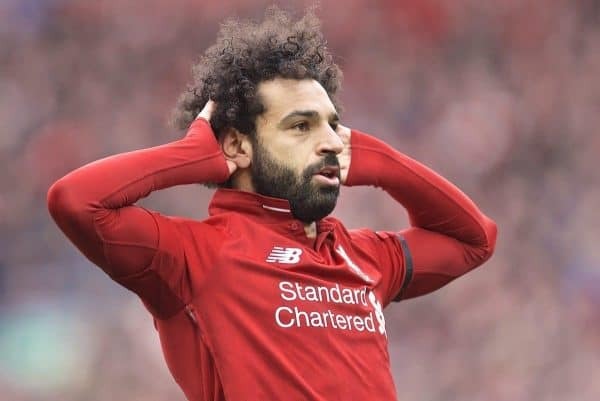 Earlier in the campaign I would have questioned if he was in Liverpool’s best starting XI, but now I have no doubt that he is the player and a leader that the team needs to successfully push them through the remaining four games. "To play as an anchor man you have to be extremely disciplined and a lot of the time you're attracted to the ball but can't go there because if you don't get there or it breaks down there is a whole. I think he's not suited to that role at this moment in time, maybe in another year. 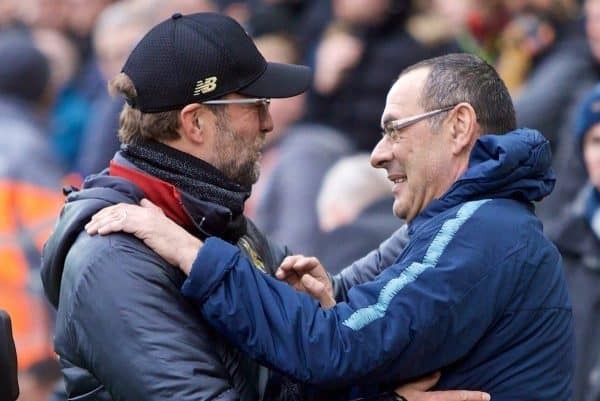 Jürgen Klopp hailed a 'fantastic performance, even better atmosphere' after Liverpool roared to a 2-0 victory against Chelsea in the Premier League on Sunday. 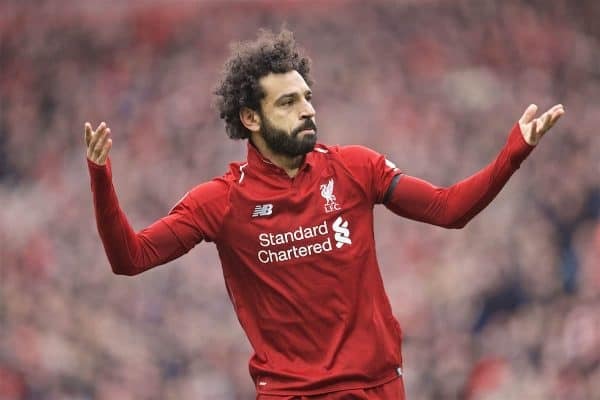 The Reds maintained their two-point lead over Manchester City courtesy of a blitz at the beginning of the second half at Anfield, with Sadio Mane’s header followed by a Mohamed Salah screamer. Post-match, Klopp reflected on the tactical changes that led to Liverpool’s breakthrough after the interval, Salah’s incredible strike, Fabinho’s performance and more. Just to be a bit more flexible. We speak at half-time, we show a few pictures. A lot of things were really good in the first half already. 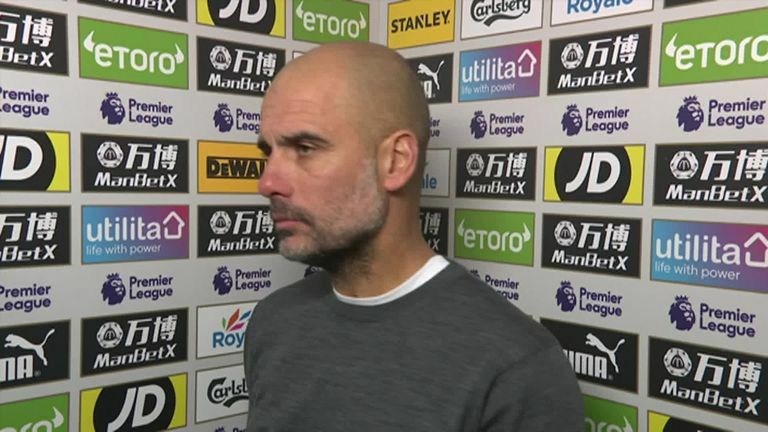 Little problem – I do it again, I speak about the wind – but in the first half we played against the wind and in the second half we had it at our back and it’s a big plus. You saw it in the second half, Chelsea struggled with the build-up, the balls going high and coming down, it’s just difficult. It was in our favour in the second half and we used that. And we needed to be a bit more flexible on the right flank. In the first half we were a bit left-dominant, we had too many balls there. It was good on the right side, we had moments as well but not as flexible as we wanted. 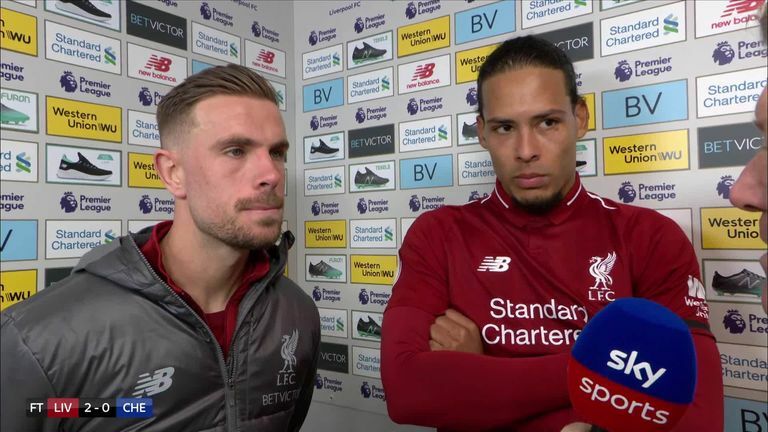 That was one of the things we spoke about at half-time and it was wonderful that we scored a goal from that situation, Hendo in the box chipping the ball – a fantastic goal. The second goal was a nice strike from Mo obviously, a fantastic goal as well. Apart from the 10 minutes when Chelsea changed system and had their chances, when Ali saved our life, we controlled and dominated the game for 80 minutes, which is probably the best you can say about a game against Chelsea. But in these 10 minutes, if they were 10 minutes, they could have changed the game completely – [hitting the] post and two saves from Ali. That was a bit dangerous, of course, but then we controlled the game again. It was a fantastic performance, an even better atmosphere and a very, very important result. It’s about the right side, positioning. You have three players on the right side – Trent, Hendo and Mo. They have to be flexible if the opponent reacts to different things, like movements. Mo can stretch the formation and keep them back, then there’s space for the other two. It’s not too complicated actually. But if you speak about the left and right flank, I have to say what Bobby, Fabinho and the two centre-halves did against this centre – their two centre-halves, Jorginho and Eden Hazard – was some of the best I ever saw in my life because it is just so difficult. We expected a little bit they would bring Hazard on the No.9 position but still it’s difficult to work that through in training because there are not a lot of players like Eden Hazard and how they do it exactly. But we denied a lot of situations. If you think about how dangerous it could have been if Eden can control the ball in the centre and then on the right and left wing, Willian and Hudson-Odoi are on their bikes, that would have been really dangerous and difficult to deal with, actually. That was really some of the best. Football-wise, we dominated for long parts of the game. Passing was really good, you need to be patient but direct. I like that game a lot, to be honest. You have these days when you see from the first second that it’s clicking. Football-wise, we were really in a good moment today, all three midfielders. It was the plan that Hendo is slightly higher and we have this in between the lines, it then gives Fabinho and Naby a bit of different space. It’s not always exactly the same idea, today it was a little bit the idea. From the first moment he was there, football-playing. And of course, defending this centre – Sarri-ball is not a coincidence, it’s really difficult to play against and there are some good reasons for it. We did it in a really good manner. We didn’t say, Bobby plays against Jorginho, for example. We gave the boys a lot of responsibility in these moments and they dealt with it sensationally. It blew me away. I was really happy. I saw it really well; maybe I saw it first the ball would go in. It was a really, really outstanding finish. And I don’t want to minimise that but I loved the first goal exactly the same. It immediately reminded me of the 4-3 against Borussia Dortmund, only Hendo instead of Millie and Sadio instead of Dejan, but a similar situation with this wonderful cross in that area and really good team play. The performance was really good but to really make it happen you need the goals and we got them, all good. I said it before when you asked me about any concerns about shape and form, the answer in football – not only for us, for all football players – is always work-rate. The work-rate today, again, of all three up front was outstanding. Chelsea are a top, top, top team. We treat these games and deal with these games like Champions League games and you cannot defend on this level without the offensive wing. It doesn’t work. Everybody uses it, we use it – if somebody plays against us and the wingers are up front, OK, we take that risk. Each top team takes that risk. How the boys worked today was unbelievable and you get the reward for that. You can make an easy goal from a yard or you need to shoot from, what was it, quite a distance and score this thunderbolt. We see it game by game. We go to Porto now, which will be a tough one, and we will play there as good as possible. We know they get at least two players back – fixed line-up players, very important, Pepe and Herrera coming back makes it a different side. It will be an interesting and difficult challenge. 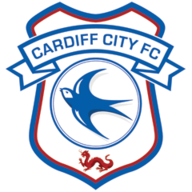 Then we play Cardiff and everybody knows they fight for [staying in] the league, everybody knows it is a tough place to go. We go there and we will try everything to win there. The biggest challenge for us is always facing the world outside – you [journalists] and other people – because we don’t think like that. Today, they [City] win and [did it] ask a question for us? If we think about them, yes, and if we don’t think about them, no. We play our game. If, for example, City lose today and we know it five minutes before our game, somebody tells us, ‘City lost’, that’s not a help. Then you lose your focus in that moment. What we want to do is collect as many points as possible, really. 85 points, four games to play, that means [we can get] 97. Good, let’s try. Let’s try that. If that’s enough, perfect, and if not, we cannot change it. We didn’t lose it here or there or in this or that game. Very smart people will come out and say, ‘Yeah, but if you would have won against Leicester then you would be champions now’ and stuff like this. Only weak people bring something like this up. By the way, at this point we can finally close the slipping book – Robbo slipped and nothing happened, so it’s not a Liverpool thing. Done. All good. I am so proud of what the boys did today, and I loved, loved, loved the atmosphere – it was outstanding what the people did today. You could feel it, they are all on their toes, so let’s try to do that seven more times and then we see what we get for it. Jürgen Klopp allayed concerns Jordan Henderson sustained an injury during Liverpool’s 2-0 victory over Chelsea at Anfield on Sunday. The captain was substituted and replaced by James Milner after 77 minutes of the contest after picking up a knock to his ankle. However, Klopp told his post-match press conference he is confident there is no lasting damage for Henderson. “He got a knock on his ankle, that’s pretty much all," the manager said. "He was fine after the game. Salah's goal against Chelsea was his 21st of the season in the Premier League, moving him joint-top of the scoring charts with Sergio Aguero. 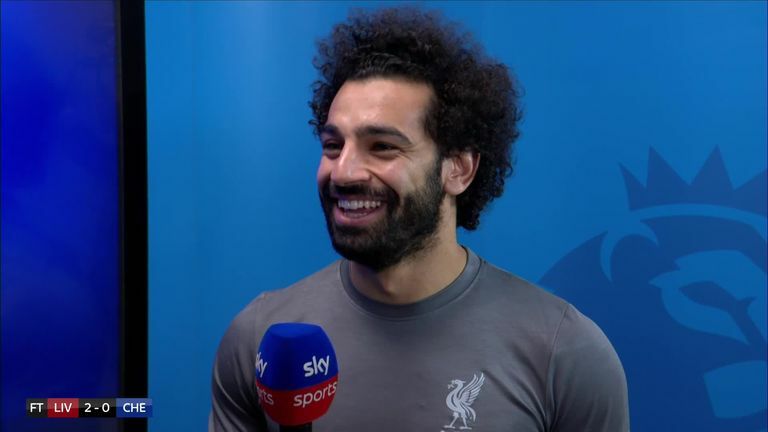 Salah's form has been questioned at times over the last few months, but he said: "It's different when other teams have two or three players on me. [Sadio] Mane is having a very good season, so is [Roberto] Firmino, they are scoring more goals than last season, because the attention on me is giving them more freedom, and I am very happy for them. 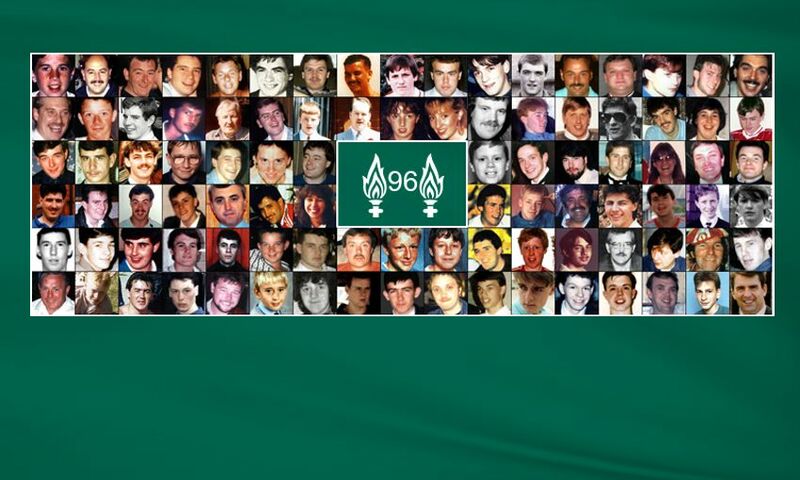 Respects were paid to the 96 supporters who lost their lives in the Hillsborough tragedy, before Liverpool's match with Chelsea on Sunday. 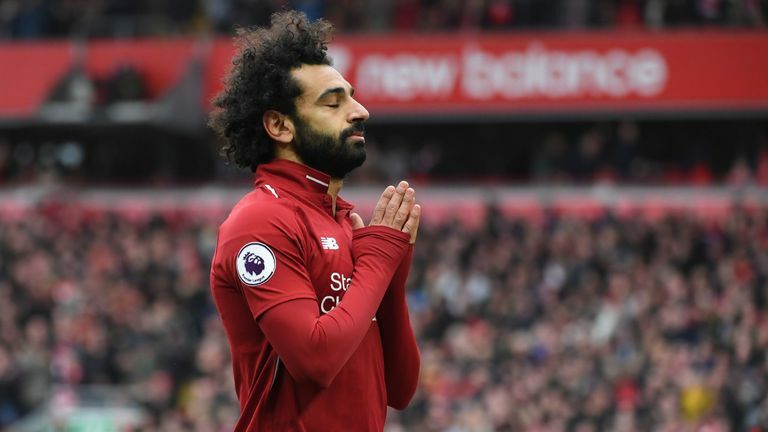 Sadio Mane and Mohamed Salah scored second-half goals to give Liverpool a 2-0 victory over Chelsea on Sunday afternoon. Ahead of kick off, Anfield paid its respects to both Tommy Smith, who sadly passed away on Friday, and - on the eve of the 30th anniversary of the disaster - the 96 children, women and men who lost their lives at Hillsborough. The hosts had seized early control, though Eden Hazard showed a glimpse of his considerable threat when he wriggled into space and had a low effort saved by Alisson Becker at the near post. Next, Henderson’s goal-bound strike from just outside the area deflected off the boot of David Luiz and behind, while Willian cracked wide of the post for the visitors after a surge forward on the break. In the final moment of the half, Kepa denied Roberto Firmino’s touch from Trent Alexander-Arnold’s in-swinging free-kick with his foot, though the Brazilian was deemed offside by the referee’s assistant as the half concluded without a goal. The Blues No.10 then brought a smart stop out of the home goalkeeper, hooking goalwards from a cross to the near post. Liverpool were forced to replace Henderson with 15 minutes remaining after he sustained a knock. James Milner was dispatched from the bench, with Georginio Wijnaldum having earlier taken the place of Keita.